Why bother with New Year’s resolutions when the end of the world is coming on December 21? I read in this morning’s Seattle Times that apocalyptic thinkers are predicting even stranger things: the reversal of the earth’s polarity so that magnetic north becomes south and south becomes north, and the appearance of a hitherto unknown but menacing planet, Nibiru, with earth its celestial target. Couple these predictions with the arrival of the dragon and 2012 promises to be a challenging year. The Year of the Dragon doesn’t begin officially until January 23 based on the lunar calendar, but I’m throwing it in now so readers have time to contemplate the complexity of the coming months. 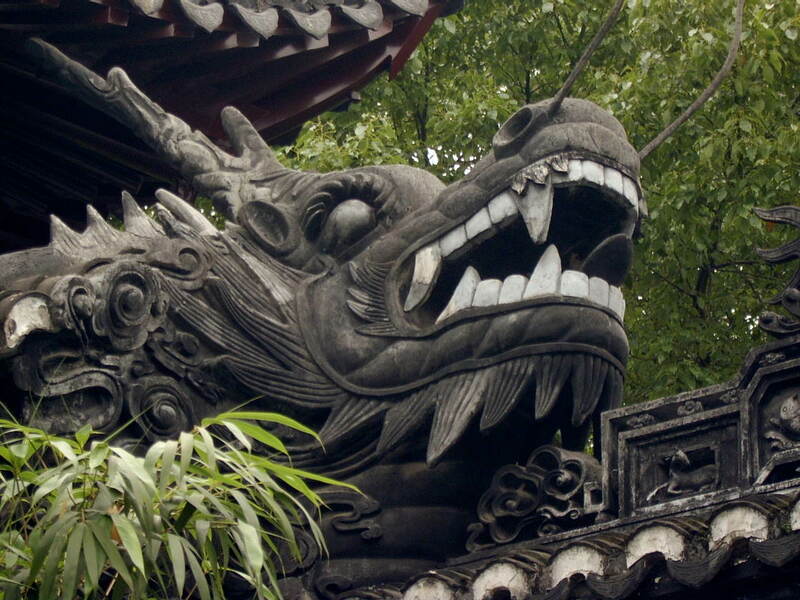 One important point is that in China the dragon is revered rather than feared; the latter response applies more to how Europeans and Americans feel about their dragons. The Chinese dragon represents such characteristics as drive, leadership, power, ability to respond to a challenge, and success. In fact, a Chinese man in my English conversation class chose “Dragon”as his English name — based on the meaning of the characters in his Chinese name — because of its positive connotations. Oops. He learned quickly that “Dragon” will not be greeted with the same favorable reaction here as at home. A Korean friend told me that this year’s dragon was very significant because it was a black dragon, which only appears every sixty years. However, she couldn’t remember exactly why it was important. I hope it is not information we need. Other sources talk about the interaction between the Chinese Zodiac animals and the elements of wood, fire, water, metal and earth. 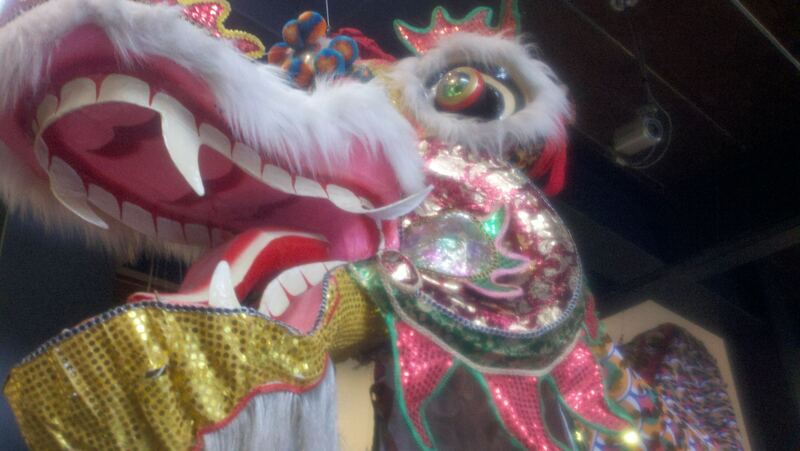 Somehow, since this is a water year, we can count on it taming the dragon’s fire and creating calm. But that’s what they predicted last year when the rabbit arrived. Another friend said that the Year of the Dragon signified a year of the unexpected, because dragons are long and snaky and we can’t always see their heads and tails at the same time. Different things will pop up and surprise us. I’m going with this view, because every year brings the unexpected and the dragon’s year should be no exception. For the first time in a long while I’m not making resolutions, except to acknowledge the unexpected when it comes. 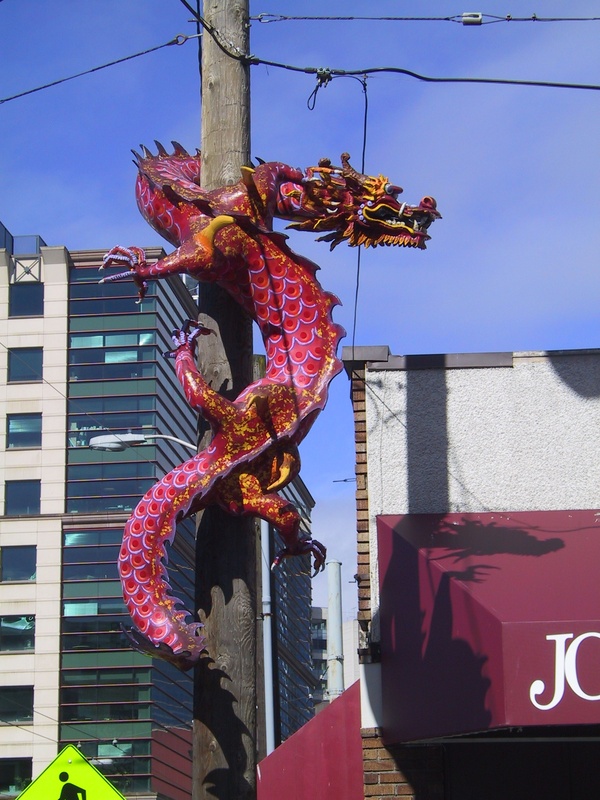 This entry was posted in humor, seasons and tagged Asian vs. European dragons, New Year's resolutions, Year of the Dragon. Bookmark the permalink. I thought the end of the world was supposed to have happened last year! Darn! I wish they’d make up their minds! Last year it was a Christian minister making the predictions. This year it has something to do with the Mayan calendar.